Call of Duty: Modern Warfare 4 to launch on next-gen consoles? As the eagerly awaited Call of Duty: Black Ops 2 release date nears, new reports have suggested Activision's next COD offering, the widely expected but as yet unconfirmed Call of Duty: Modern Warfare 4, will launch across current and next-generation consoles. 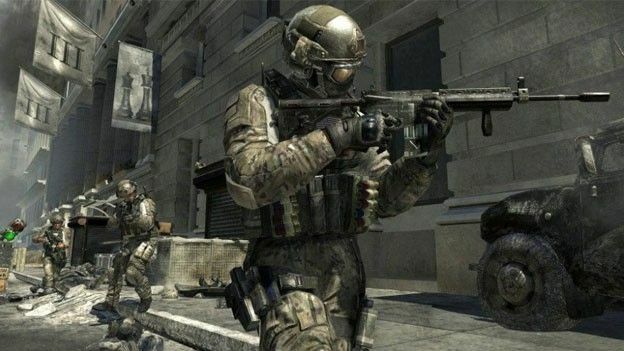 Further stoking the longstanding speculation that surrounds the repeatedly called for Xbox 720 and Sony PS4 release dates, latest reports have suggested Call of Duty: Modern Warfare 4 could be one of the first titles to hit the new platforms. Leaking via yet another overzealous developer CV, lead software engineer and project manager with Infinity Ward, Andrew Aye, has teased the potential MW4 next-gen console release without offering any indication as to whether the new platform will be coming from Sony or Microsoft. Referring to the game only as an 'unannounced title,' Aye has revealed that what is widely expected to be a direct Modern Warfare 3 follow-on will be made available at launch for "XB2 (Xbox 360), PS3, PC DX11," platforms as well as a mysterious "TBA" console. Thanks to Activision's formulaic annual Call of Duty release patterns, it is expected that Call of Duty: Modern Warfare 4 will launch in November 2013, an arrival that would likely see either an Xbox 720 or PS4 unveiling at June's E3 2013 showcase. Do you think a new breed of games console is needed or are you happy with your PS3 and 360 platforms? Let us know via the T3 Twitter and Facebook feeds. Call Of Duty 4 outed by retailer?